Coffee has become a staple in any workplace, and our coffee experts know just how to provide your facility with the best solution. 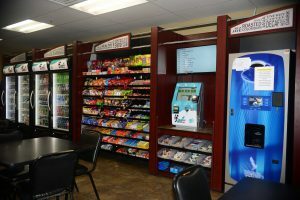 At Cee Vee Vending, our goal is to combine the right brewers with a selection of high-quality coffee based on your office’s unique taste. Every office has a unique palate, and we have developed our system for discovering your coffee preferences. Call Cee Vee Vending today to schedule a free taste sampling survey of our office coffee in Pittsburgh, PA. As part of our tasting survey, we allow your office to sample a variety of freshly brewed coffees and vote on their favorites. Our coffee experts use the data to develop a unique profile and coffee inventory that provides a morale-boosting benefit for you and your staff. We have made it our mission to provide our clients with state-of-the-art commercial brewers, as well as single-serve cup coffee machines with our coffee service in Pittsburgh, PA. Offering the latest technology in bean-to-cup coffee brewing, our company will provide you and your staff everything you need to enjoy the best in fresh-brewed taste. Are you tired of lifting those heavy water jugs? We also offer water purification units in several different models to ensure our clients always have clean, pure water to drink or use. Our units are available with cold and hot water dispensers. If you wish to conserve space, we have several countertop units available as well. We also offer beverage delivery services to ensure your facility is well stocked with a bountiful arrangement of refreshments. 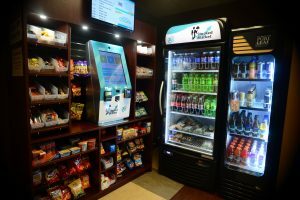 The beverage products that we carry include all national brand carbonated beverages, energy drinks, sports drinks, 100% juice, and juice products as well as a wide variety of teas and water. Whether you need accommodations for large-scale business meetings or special corporate events, we are sure to have something for customers of every taste and preference. To browse a complete list of our products, click the shop button. Contact us for a free trial of our coffee and beverage service in Pittsburgh, PA. Based in Darlington, Pennsylvania, we serve clients throughout the tri-state area.